Properties in France can rightly be called one of the most popular investments among wealthy people. But these years, their example is followed by buyers with an average budget. And all this thanks to the fact that during the crisis in many parts of the otherwise stable and developed country, the property prices have fallen and are still at a very attractive level. Perhaps, only the real estate in the capital can be called an exception. 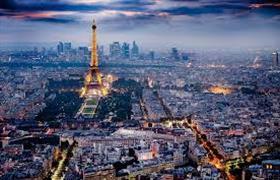 The cost of housing in Paris, especially in the elite property segment, has been and continues to be one of the highest in Europe. The well-developed infrastructure, even in small villages, the high level of social protection, the stable economy and politics – only a small part of what property owners receive in France. The local market cannot fail to attract those who wish to improve their standard of living and to be sure of their financial future. After all apartments, studios and houses in France - a long-term, secure investment that will protect capital from inflation, and may significantly increase the well-being of their respective owners. Buying properties in France: on the sea or in the capital? If some are attracted by a property in the country’s capital as a primary residence in France or for investment purposes, others are interested in fashionable resorts of the Cote d'Azur. And this interest is quite understandable. Along with the fact that real estate buyers, for example, in Nice, get the so-called residence for a holiday by the sea, they can also be assured of their capital. Housing prices on the French Riviera, as well as in the capital, even in the budget segment of the market are at a fairly high level, not to mention the rental rates. The housing market in France cannot be of interest to those who dream of a peaceful and safe life in Europe. And this is where they can find not only their main or holiday home in the mountains or on the sea, but also to develop their own business. For example, you can buy a chateau in the Loire Valley, where their number exceeds three hundred, and feel like a medieval nobleman, establishing a hotel business using property as a hotel. Or you can buy a small vineyard in Bordeaux and compete with the world's best winemakers... The choice is yours!